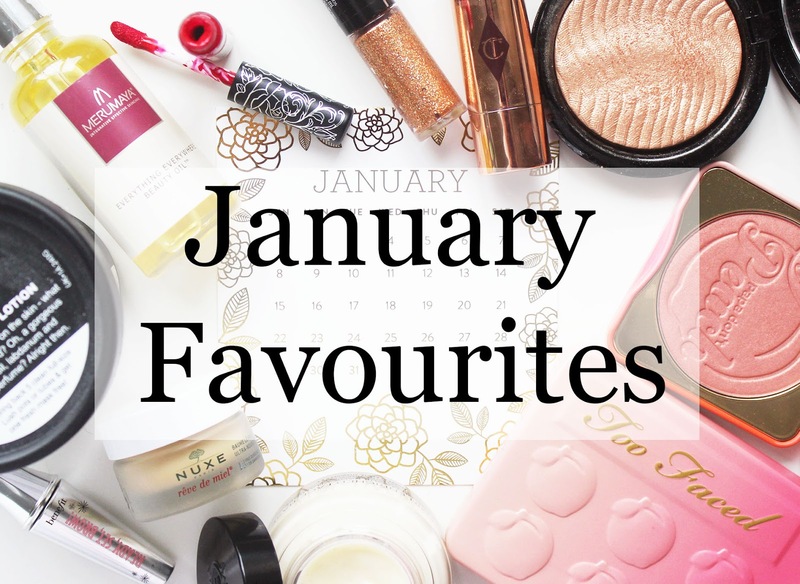 January Favourites of 2016 was my first ever favourites on this blog, so it seems weird to me that I'm revisiting a month! Regardless, this is such an exciting favourites for me because I got so many beauty products over Christmas and January. Here's what I've been loving the most! I won this in a beauty hamper from Lovemebeauty and it's so good. I'm amazed at the staying power, I wore this lip balm alone through lunch and it was still there afterwards! It smells like honey, and it's so smooth and hydrating and not at all waxy. It makes my lips noticeably softer. Benefit's Ready, Set, Brow gel has been my go-to this month! I use it a little unconventionally; I use it to comb through my brows before filling them. It's transparent, and the formula is soft, silky and not at all sticky that I can do this and get each hair to where I want it to be before I do the rest! Moreover, It locks my brows in place all day. I got both of the new Make Up Forever highlighter's with a gift voucher I got for Christmas, and the shade #2 was surprising the one I was on the fence with at the beginning. It's a gold shade and, being so pale, some gold shades can look too warm on me and end up being unflattering. So it was a pleasant surprise when this was the most beautiful thing I've ever dusted across the tops of my cheek bones. It's so stunning! The formula is so silky smooth as well! 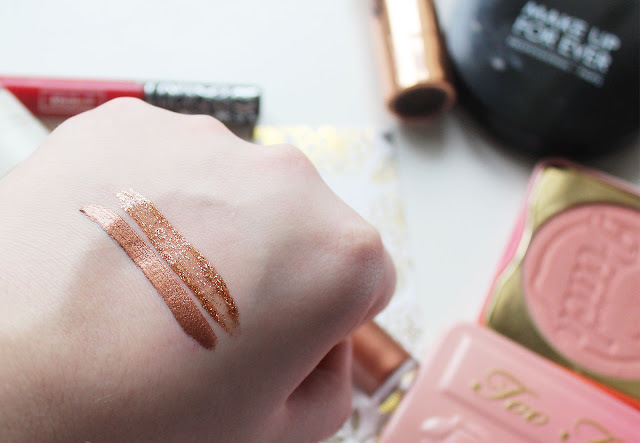 It's a beautiful powder that just glides on the face with next to no blending whatsoever. 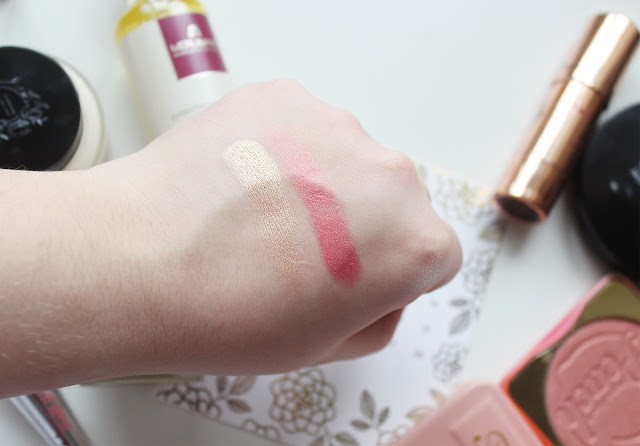 Last month I talked about how much I adored Charlotte Tilbury's beach stick in Ibiza. As it happens, I loved it so much I got another one! 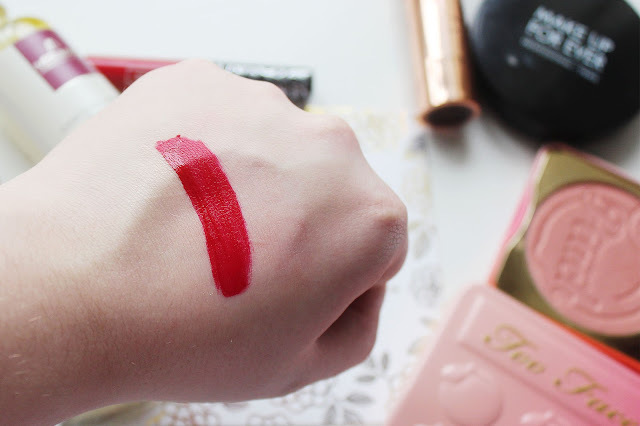 I got the much sought after shade in Las Salinas, the fact it was sold out on Charlotte's website - as well as the other stocks - for ages was a big factor in me choosing this particular shade, and I'm thrilled! It's such a beautiful pink with a hint of shimmer. It's perfect for adding a healthy glowy flush to the face. I reviewed the majority of the Sweet Peach here, so I'll surmise: I am obsessed with this eyeshadow palette it is literal perfection! I got this as part of a Bobbi Brown Haul (here's the post, if you want to see what else I got!) and it has absolutely lived up to it's reputation. It's so good and has this incredible instant hydrating and smoothing effect! I'm wearing it every single day I wear make up because it is the perfect base; everything just sits so much better on it, it's hard to explain. Another item that was in the Lovemebeauty hamper is Kat von D's Outlaw. I've worn it several times since receiving it, it's safe to say I'm obsessed. It's such a beautiful shade of red! I'm on my second tub of this now, I love it. I use it after showering, it feels so luxurious and makes my skin so, so soft. What I can't resist about it, though, is it smells of cocoa and bananas! I love using oils to mix into my foundation, and I've recently been loving the Merumaya Everything Oil. It's so silk smooth, and I love how soft it feels on my face and the glow it injects into my foundation! You can - although I haven't yet - use it on your body and hair. Going on how much I enjoy using it on my face, I have high expectations! I swatched the rest of my collection of these eyeshadow duos here, and a few hours after I'd published that post, I found this one knocking around one of the drawers in my vanity. Yep, I'm an idiot. So in part I'm including this in my favourites to compensate for it being absent in the post itself, but this one is a beautiful gold shade that has genuinely stood out to me! 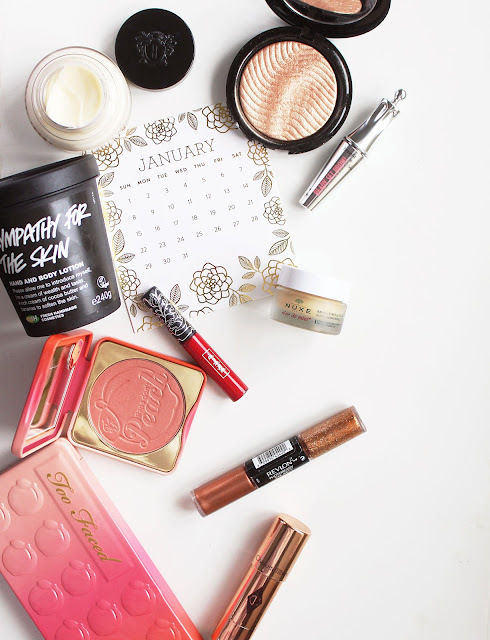 Don't forget I'm giving away over £400's worth of beauty products! Head over to this post to enter if you haven't already. That Revlon eyeshadow looks great!! also, red lipstick and highlight! Oohhh I want to try the Nuxe lip balm!